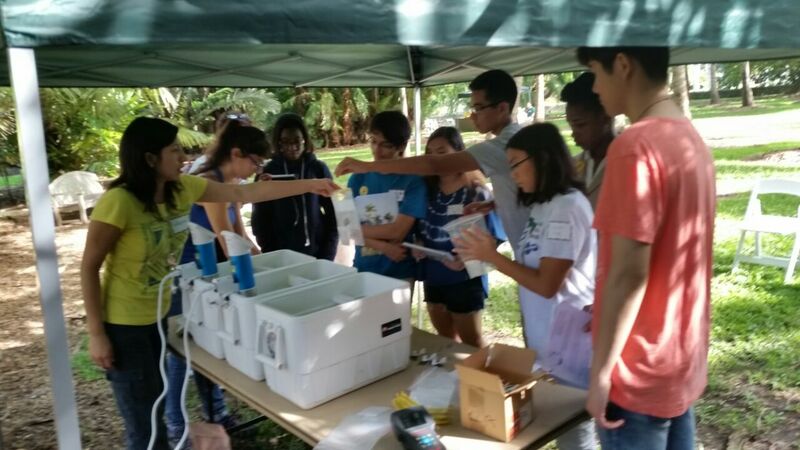 On Wednesday, some graduate students from The Feeley Lab participated as mentors in the Fairchild Challenge’s Environmental Immersion Day at Fairchild Tropical Botanical Garden. The purpose of this event was to introduce high school students to the many disciplines of biology. The activities offered were presented under the following cathegories: Biological imagery, Environmental professionals, Functional ecology, Plant–animal ecology, Tropical biodiversity and Growing, propagating and conserving. Each group of students had the opportunity to visit three “research stations” of their interest. High schoolers got hands on experience with an array of research, from watching birds with Alex Levin to observing microscopic fungi with Johana Weremijewicz or even catching lizards with our lab’s very own James Stroud. 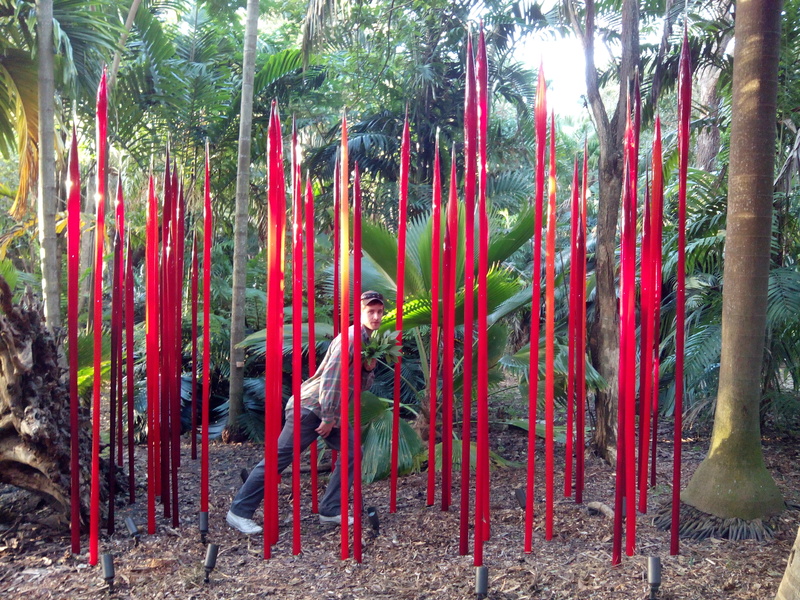 (More about Fairchild’s Graduate Students: http://www.fairchildgarden.org/Education/Graduate-Studies/Graduate-Students). Tim Perez, Catherine Bravo and I introduced students to climate change and its relationship with functional leaf traits. After discussing functional traits, students hypothesized which leaves would be most adversely affected by high temperature. Students then measured leaf fluorescence as an indicator of plant stress and discovered that increasing environmental temperatures will decrease photosynthetic ability. For the first time, these students got to practice making and testing hypotheses of the climate change-related research! By the end of our activity, students understood that plants must migrate in response to climate change to avoid extinction. Another important goal was to present Biology as a possible career. We encouraged the students to explore avenues of biology through coursework, and internships that can help them figure out a path to their vocation. We gave them useful advice and support as, a few years ago (for some more than for others), we were in their same position. 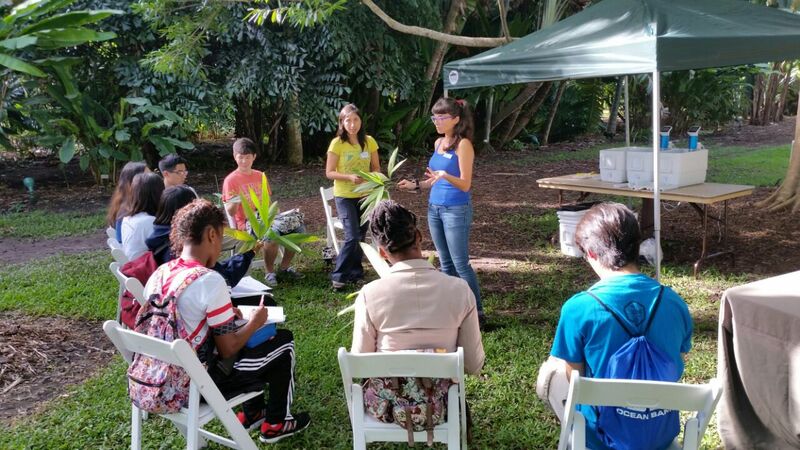 With this initiative, Fairchild Tropical Botanical Garden and the graduate mentors helped to bring some new students into the biological career. We may have planted the seeds for the next generation of Biologists. This entry was posted in Uncategorized by Belén Fadrique. Bookmark the permalink.